DJ / Producer of sleazy party funk from Bristol, UK. 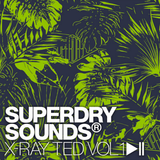 Repres​enting Ghetto Funk, Scour Records, and Bristol&apos;s mighty Five Dollar Shake, X-Ray Ted is a tried and tested party-​rocker who&apos;s been gracing the wheels of steel since 2006 with his own blend of mid-tempo breaks, funk, and hip-hop, alongside unique remixes and party-edits that he&apos;s becoming renowned for. 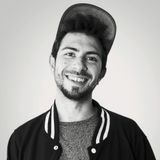 Expect bass fuelled bootlegs, classic party bangers, and the funkiest of flavours in his cross-genre sets that&apos;ll keep you grooving all night long. 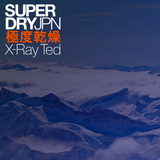 As well as having most of the UK festival circuit under his belt and a number of international shows, in 2014 X-Ray Ted was selected by DJ Yoda to represent Superdry in the legendary Arctic Disco Stage at Snowbombing (Austria), and continues to work with Superdry with an exclusive mixtape series for their social media.